Following this tutorial, by Jeni of In Color Order, I spent a little while last week putting together and quilting four little coasters. It was a great chance to try out free-motion quilting for the first time. Most of what I learned was: I need way more practice at this. 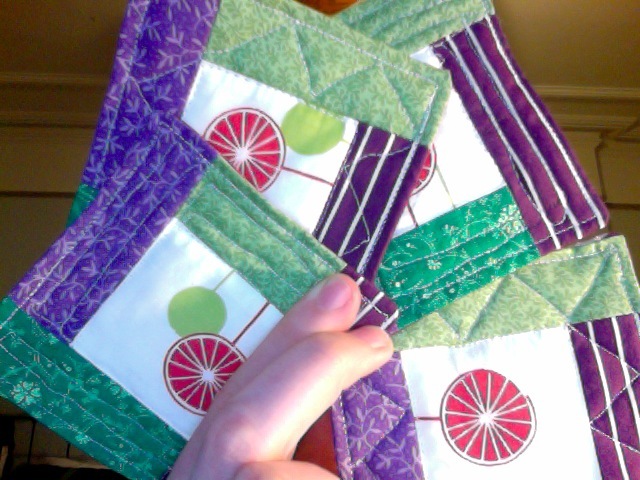 So there may be more coasters and so on in my immediate future, since they seem to make a nice tiny little playground for trying my hand at free-motion quilting.